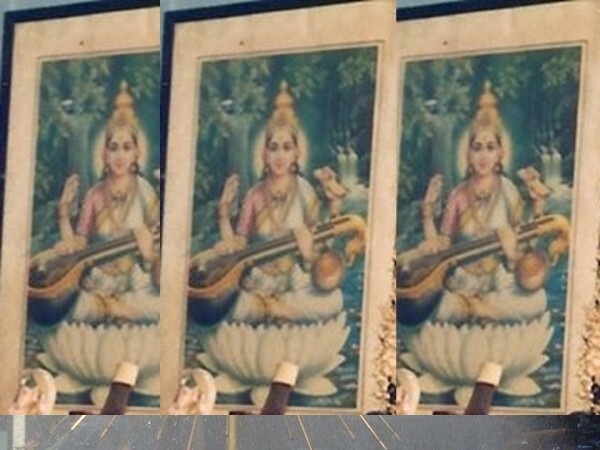 A Song what can be referred as the “Anthem” of the Goddess of Wisdom, Saraswathy is “Vellai Thamarai Poovil Iruppall”. This song was written by Mahakavi Subramaniya Bharathiyaar and has been rendered by many artistes, both as vocal and also instrumental. The song is especially featured during last there days of the Nine night festival “Navarathri”. The poet sees that not just learning, but anything aesthetic, compassionate words or even adorable tot-speak and birds tweet in nature’s wonder are that of divine manifestation via goddess Saraswathy. “Navarathri”, the festivities of nine nights mark the first three days for Goddess of bravery Durga and Goddess of wealth Lakshmi the next three days. The final three nights of Navarathri are dedicated to Goddess Saraswathy, and on the third night Sarawathy Pooja is held. This year the 9th day gala for the Guardian Goddess is observed on October 2/3. 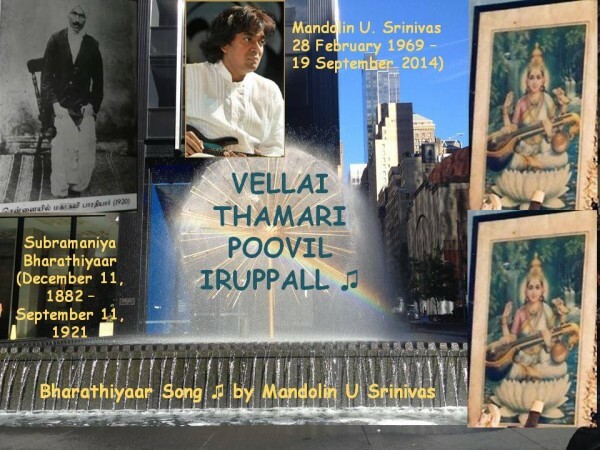 The song is uploaded on YouTube during these last three days of Navarathri as homage to Mandolin U. Srinivas. 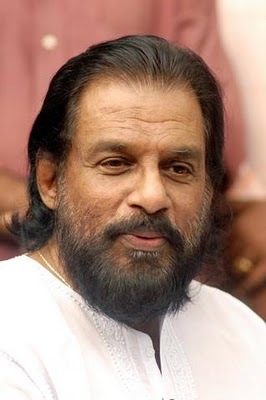 A “tributary” now as the renderings of the late mandolin prodigy are also becoming part of the river-like and immortal works of Subramaniya Bharathiyaar. They both encompass the divinity of Goddess Saraswathy during these days of Navarathri. 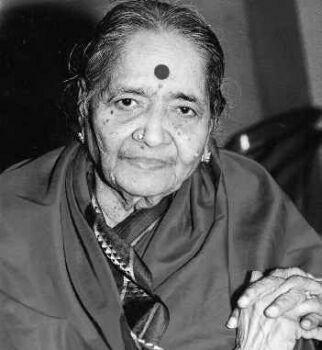 A popular early rendering of this song came from Madurai Mani Iyer (October 25, 1912 – June 8, 1968). His rendering of the song “Vellai Thamarai Poovil” resonates with the above observation. 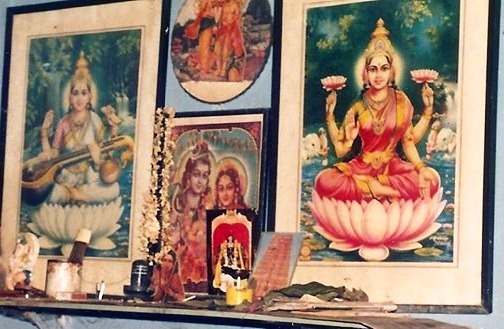 Sakthi is the “Guardian Goddess” of Mahakavi Subramaniya Bharathiyar. He has said that Navarathri is a favorite festival of his and that he look forward to celebrate it every year. In 2014, Navarathri is from September 25th to October 3rd. Calendars in USA and Canada have marked the beginning date as September 24th. Vanni Vizha or Saraswathy Pooja, the special day for the Goddess of Wisdom and Learning is celebrated at schools, work places and temples by students, workers and artistes and everyone in their joyous tenet of appreciation for the state of pleasure she brings upon and represents. 10th day of Navarathri, Vijayathasami is (Oct 3/4 in 2014) an auspicious day to initiate learning and related new beginnings. « Liberal Party of Canada Cannot and Will Not Support Prime Minister Harper’s Motion on Going to war in Iraq.